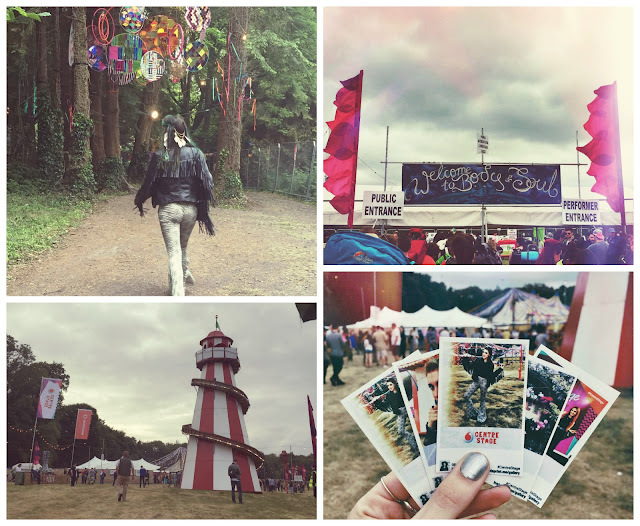 Over the weekend, I attended my all-time favourite Irish festival Body & Soul, with Vodafone's Centre Stage. It was absolutely phenomenal - as always. 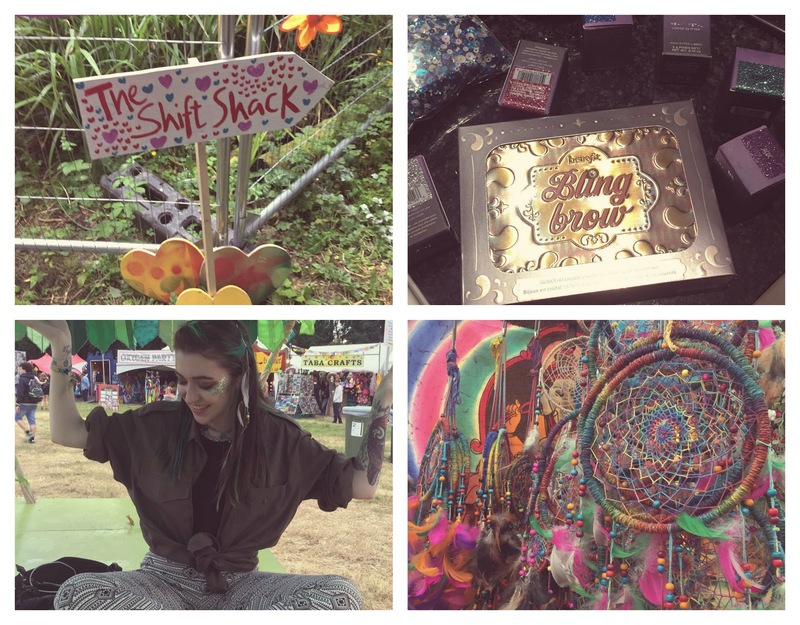 Body & Soul is such a unique and unusual festival experience; it's completely chilled-out, full of art and magic, the atmosphere is electric and the live acts (music and comedy) are always on point. The weather was great, despite a few showers, so I was able to wear the likes of these fabulous Kiss The Sky flares from Ark Clothing and Peacock feather hair clips from Penneys (Primark). 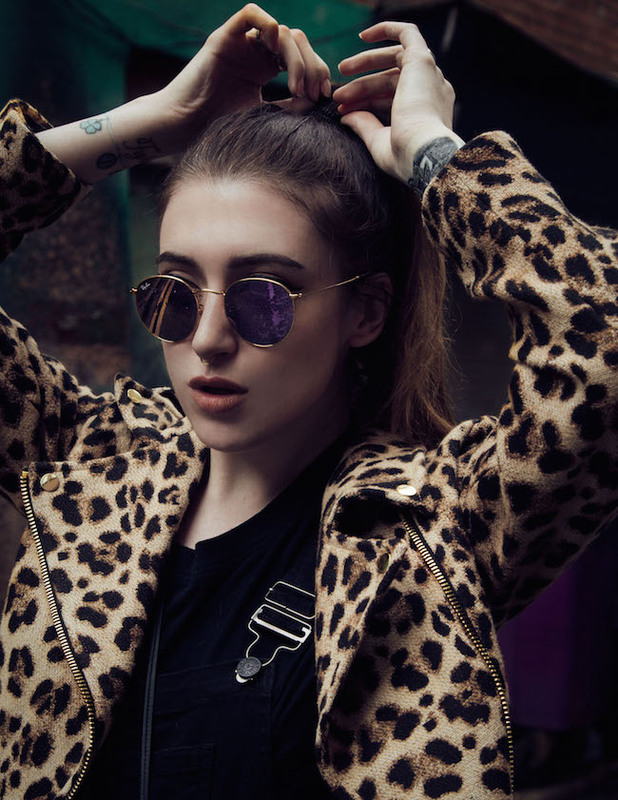 I used Benefit's 'Bling Brow' and Urban Decay's 'Heavy Metal' loose glitter to achieve each day's glittery and boho-inspired makeup too. Vodafone Centre Stage had a brilliant Recharge Room at the festival for all of the ever-dreaded dead phone owners. In the Recharge Room, there was a 'Recharge The 90's' wall where you could get your photo snapped with all kinds of 90's props. It went down a treat! One of the greatest parts of the Recharge Room, were the Centre Stage Instaprint photos. Anyone who tagged #CentreStage on Instagram or Twitter over the weekend, had their photos printed out into polaroids free of charge. The photos were collected by thousands of people over the weekend and a giant mosaic was put together at the end using everyone's snaps. 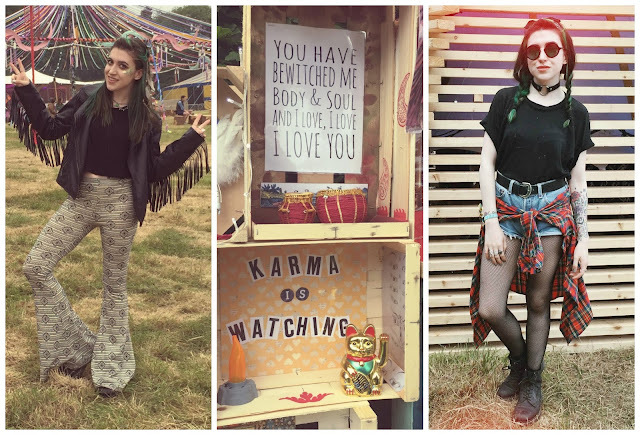 Body & Soul 2015 was yet again a festival I'll never forget. The true highlight for me was singing Irish ballads with a hundred people or so around a bonfire, at 2am on Sunday night. You just couldn't get that anywhere else. 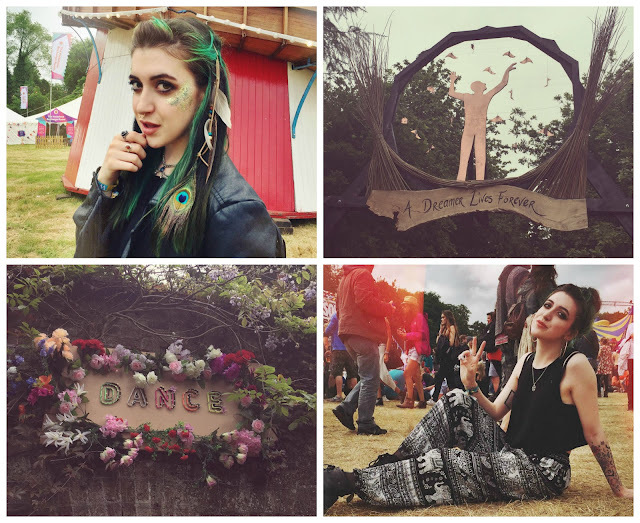 I left this festival feeling immensely happy and inspired, surrounded by fantastic people and all of the eco-friendly and colourful art you could think of. I say it each year, but if you haven't been, you MUST go next year! It's truly one of the highlights of my Summer and I'll be a loyal Body & Soul-er for many, many years. Thanks to Vodafone Centre Stage for having me along!